Face Addiction with Interventions and Training for Healing (F.A.I.T.H.) Initiatives assists congregations build sustainable team Addiction Prevention and Recovery Support ministries. Funded in part by the Lancaster County Drug & Alcohol Commission and the York County NE School District, F.A.I.T.H. Initiatives delivers to faith organizations a wrap-around, 3-part training series to equip lay leaders and help sustain a prevention and recovery ministry. GOAL contracts with Faith Partners, LLC, a national non-profit that has trained hundreds of congregational teams from over 22 different faith traditions in over 29 states with their evidence-based training model. congregations be equipped in their communities where the need is for advocacy, prevention, education, and recovery support. The first workshop of a 3-part training series entitled “Equipping Faith Leaders” was held on October 27, 2018 at St. Thomas Episcopal Church at 301 St. Thomas Road, Lancaster. 17 congregations in Lancaster, York and Berk Counties attended the training, each congregation bringing a clergy person and 2 to 3 lay leaders, where applicable. Part II: Team Development is scheduled for Friday-Saturday, February 1-2, 2019 at St. Thomas. Part III: Advanced Skills and Sustainability is scheduled for Saturday, June 1, 2019. Registration is required. Please contact Paige Harker, Executive Director at 717-824-3310 or email paigeharker@goalproject.org for more information. GOAL comes alongside your team to provide additional educational support to equip and sustain your program/ministry. If you would like a GOAL trainer to provide education on any of the topics listed below, contact GOAL at 717-824-3310 or email Paige Harker at paigeharker@goalproject.org. We look forward to working with you to bring healing to our community. 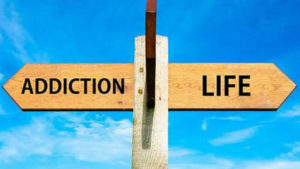 Addiction as a Family Disease – 6-hr workshop that can be divided into two 3-hr sessions. In two 6-hr sessions, participants prepare and present their own Genograms. Participants receive a booklet. Addiction, Family Issues, Recovery and Healing – Special 3-hr training for clergy with Manual. Clergy keep Manual and pamphlets. Congregational Awareness and Empowerment or How Addiction Affects Members of Your Congregation – Basic 6-hr workshop that can be facilitated in two 3-hr sessions or one 6-hr session. Trainer presentations and panel discussion. Coping after Overdose death – 4-hr trainer presentation with participant activities and handouts. Healing Hope for Bruised Souls – An in-depth 8-hr workshop (in two segments) for Stephen and Care ministers with a teaching manual that covers addition and mental health issues, assessment tools, and describing the healing process. Participants keep manual. Pastoral Care situations discussed. Heroin Epidemic: In Your Community; In your Congregation; Hope and Help – 6-hr workshop that can be divided into two 3-hr sessions. Trainer presentations and panel discussion. Interventions – An 8-hr workshop divided into 2 sessions. Is Addiction a Disease? In this 4-6 hr workshop a presenter explains the spiritual, psychological, relational and spiritual aspects of the Addiction sickness. Mentoring Issues – A 3-hr guided discussion on how to help and how not to help, with a special emphasis on enabling. Opioid Dependency: Reviving and Caring – Two hr. trainer presentation and demonstration of administering Narcan. Participants receive a kit, Narcan, and Resource booklet. ROSC Training and Booster workshops – A 6-hr workshop with Trainer presentation and participant activities. Signs and Symptoms of Addiction – A 6-hr workshop led by a physician trainer. Support Groups: Kinds and Effectiveness – A 6-hr practicum, with explanation and practice in different kinds of support groups. The 12-steps – A 4-hr presentation and what they are, how they work, and their origins. The Heart of Addiction – A 3-hr workshop with a testimony and panel discussion.